To solve this, I proceeded to get into the VM to pin-point why the VHDX file was maxed out. 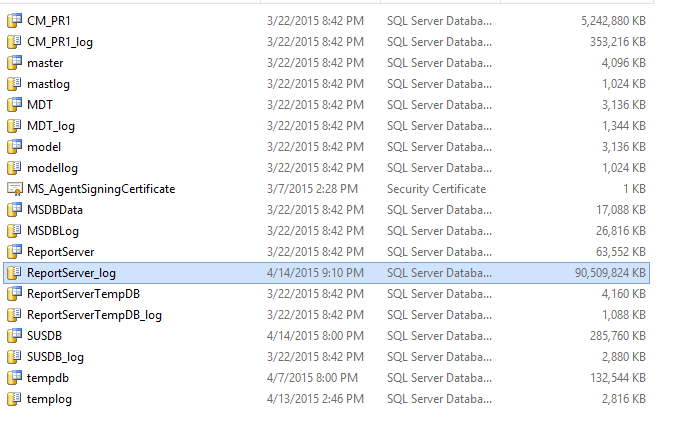 Immediately I see SCCM is completely pissed off at me for not having looked at it for a while and the database had completely eaten up all of my storage. My immediate solution is to check all logs that I can get access to and wipe any unnecessary logs followed by extending the drive an additional 5 gigs for immediate breathing room. Right Click on the desired database and select Properties. 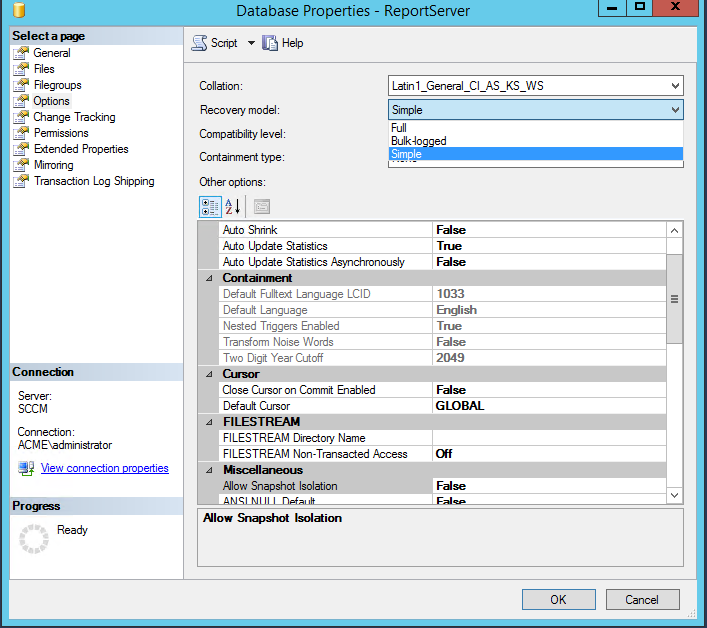 In the Database Properties menu, select Options from the left hand side and in the Recovery model drop down box change from Full to Simple. Once back on the main screen inside the Management Studio, right Click on the desired database and select Tasks, Shrink and click on Database. 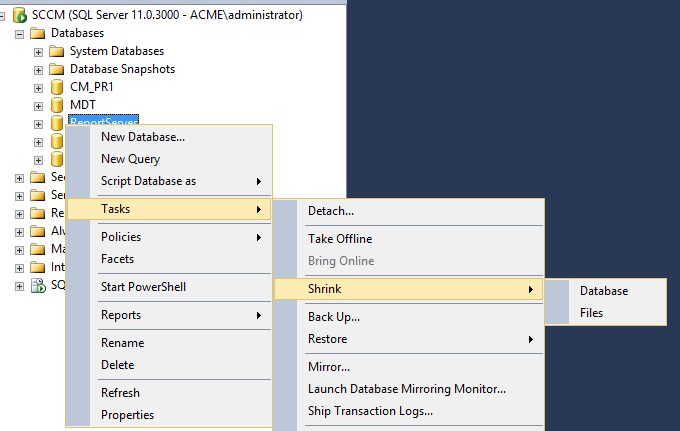 Inside the Shrink Database menu, make sure Release unused space is selected and click OK.
Leave the process run for a period of time and once completed once again right click on the desired database and select Properties. 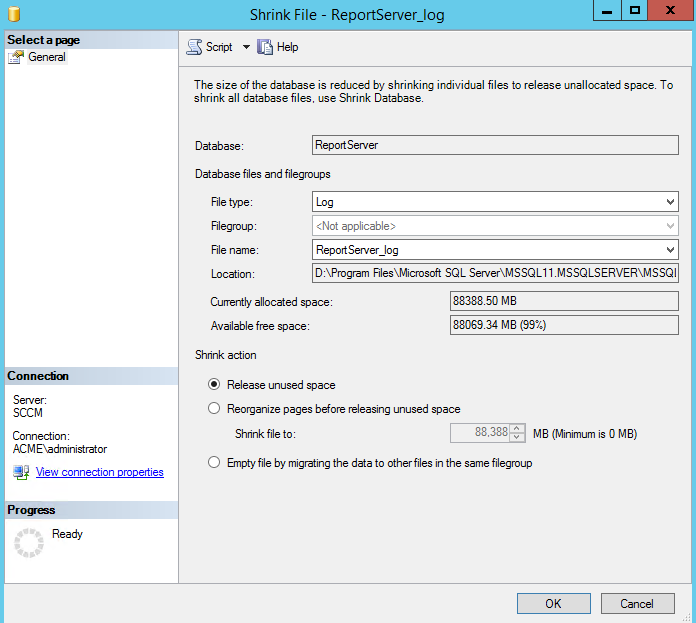 In the Database Properties menu, select Files from the left hand side and in the Database files selection, look for ReportServer_log. 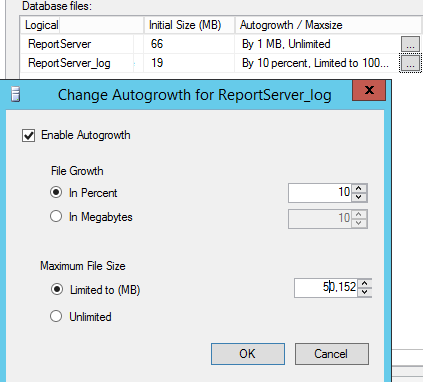 Select ReportServer_log and look for the Autogrow/Maxsize menu and click on the three dots box. Inside this change the Maximum File Size from 2TB to something more appropriate. I set mine to 50,152 since my drive is 140 Gigs. The end result is getting all that unnecessarily consumed space and now having a safety net for the maximum file size to the reporting database log file. 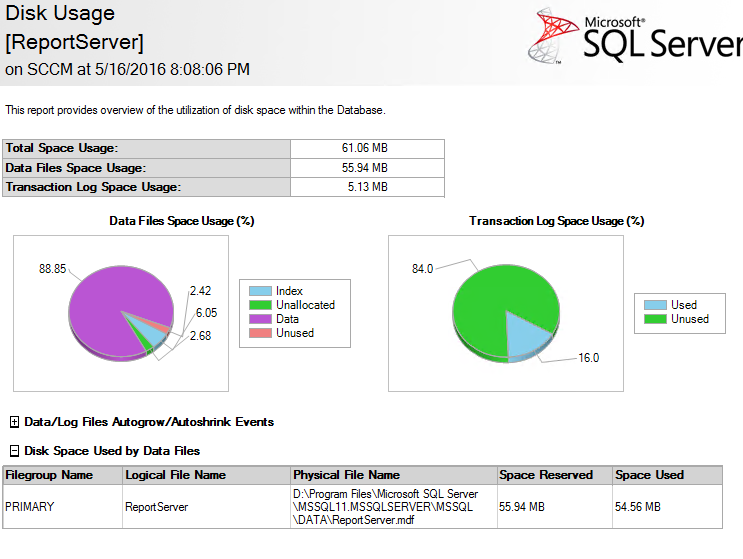 While I did not get a before and after disk usage report, the following report displays how much cleaner the database appears to be. Unfortunately, I do not have a clear root cause but from what I have seen this can happen with SCCM 2012 unexpectedly in different environments. Therefore, it is better to be safe than sorry and pro-actively configuring the limits on the database files.